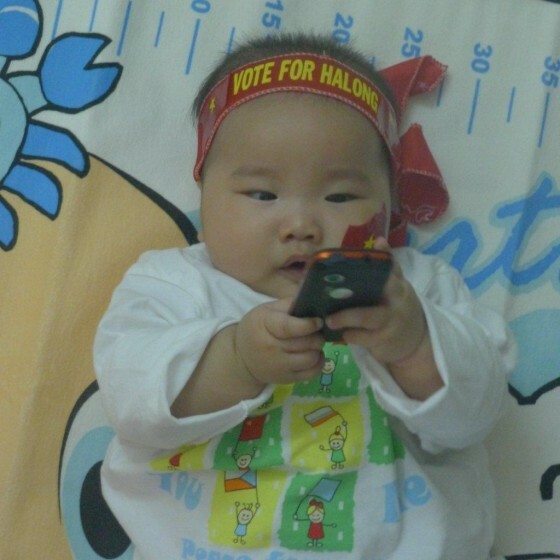 Hoang Viet Thuy Anh, just five months old, is the grand-daughter of the Vietnamese Minister of Culture, Sports and Tourism, Hoang Tuan Anh, and possibly the youngest voter in the New7World of Nature. Naturally, her preferred candidate is Vietnam’s representative Halong Bay. Nobody is to. young or too old to vote in the New7Wonders of Nature as this image proves, and we would love if someone would now send us an image of the oldest voter.